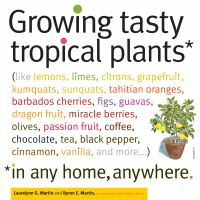 In this comprehensive guide, iris expert Kelly Norris provides an accessible yet authoritative overview of these deservedly popular plants. Introductory chapters discuss how to grow bearded irises successfully; how to use them in the garden; how to recognize superior plants; and how to “create” new irises. The bulk of the book consists of portraits of the most outstanding plants in each of the six recognized categories, from the dainty miniature dwarf bearded irises to the stately tall bearded irises. A helpful resource section lists specialty nurseries, organizations devoted to bearded irises, and public gardens with notable iris collections. Bearded irises are among the most beloved of all garden perennials. For some, they bring back warm memories of a grandparent’s garden; for others, they’re a cutting-edge plant with a seemingly endless capacity for producing new forms and patterns. For gardeners everywhere, they’re a reliable source of breathtaking colour from early spring through high summer—and sometimes again in autumn! 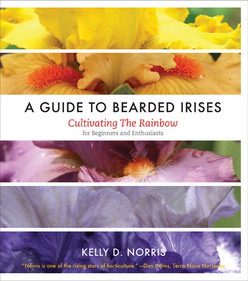 Kelly D. Norris is an author, speaker, horticulturist, plant breeder and plantsman. A Guide to Bearded Irises will deliver the information you’re seeking while feeding your passion for these vibrant, versatile plants. What's Wrong With My Vegetable Garden?